Perhaps the most important thing when it comes to locksmith services is speed. Today, FC Locksmith guarantees immediate 24/7 services thanks to its highly developed mobile locksmith network. When emergencies related to locks and keys occur, dialing the number of our company will bring you peace of mind. We are fast, reliable and competent. We know the importance of emergencies, how terrified people can get when they are locked out of their vehicles and have the means to fix problems fast. 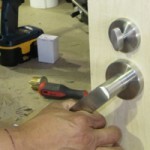 FC Locksmith is the best and most reputable contractor for any emergency mobile locksmith in the entire area of Toronto. Speed is guaranteed by our fast and often renewed mobile units but quality services, which is also a very significant part of our job, is also ensured by the highly experienced, well trained technicians. Each truck of our business is fully equipped with state of the art machinery for car key replacement or key cutting. 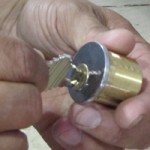 We carry excellent, highly sophisticated tools for lock and key change and repair and rekeying. All equipment is regularly checked and tested for their efficiency, so that our clients can rest assured about the quick and proper completion of the job. We have an excellent knowledge of the latest, high security door locks and complicated systems and the knowhow to fix any problem immediately. This way, you can be sure that each mobile locksmith service provided by FC Locksmith in Toronto will cover your needs completely. Our mobile units are found in the most strategic parts of the city in order to reach you fast for any service. The value of mobile teams is great since they can serve you very quickly. After all, this is the meaning of our whole endeavor. FC Locksmith invests in its technical power and fast vans, knowledgeable workforce and equipment in order to solve problems fast and that’s exactly what we do with our 24 hour mobile locksmith units.